Administrators will often need to view and possibly make edits to staff Timesheets entries. Viewing and editing for all staff members' hours can be done from the mHelpDesk web application only. Individuals can only view their Timesheet entries from the mHelpDesk mobile app. Timesheets will show total clocked in hours for each day for each staff member. Only Staff members that clock in and out on the mobile app will show in the list. 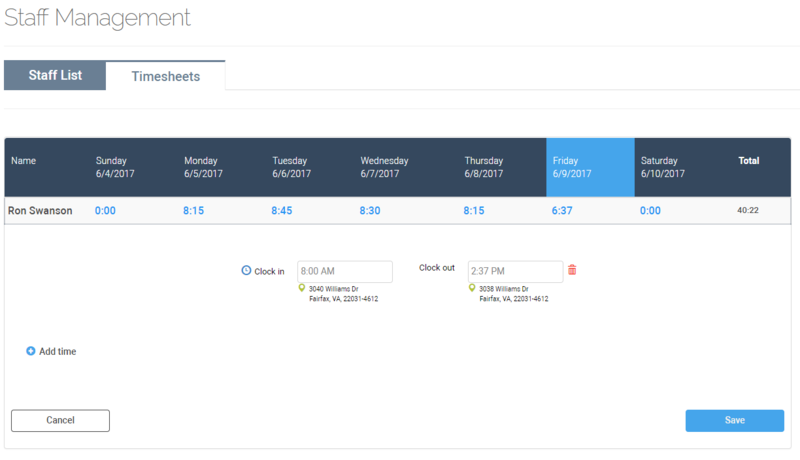 Timesheets will always show full weeks for the dates you select. 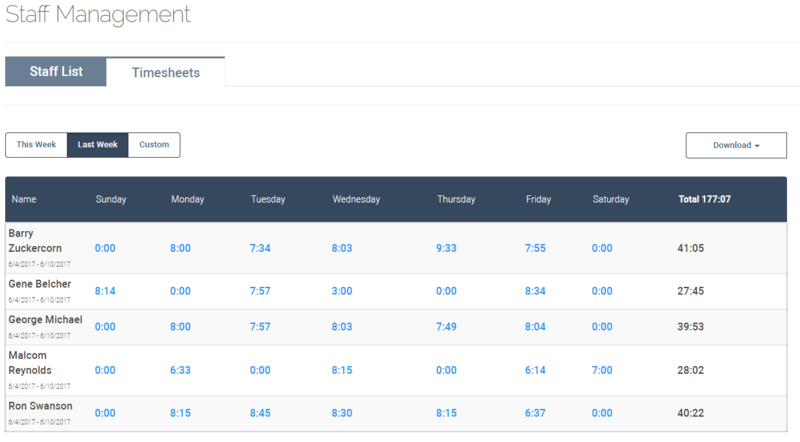 For example, if you select a start date that is a Tuesday, Timesheets will automatically show you the entire week (Sunday to Saturday) that contains that Tuesday.